Chirpy wee sweetheart of a tune. Play it to, or because of, grumpy bah humbug friends and colleagues. I live in Inwood Manhattan, and the 1 train is the main train that comes to my part of the city. 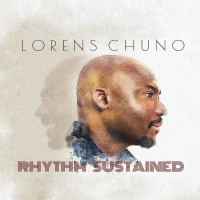 The 1 train runs local, which means that it makes every stop on its route; it takes it easy but stays busy, This song is an homage to the 1 train. 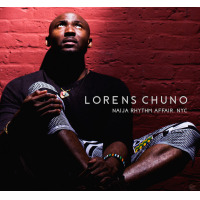 Lorens Chuno: Vocal, Piano (tracks 1,6,7), Percussions, Background Vocal; John Gray: Bass; Michael Vitali: Drums; Michael Eaton: Saxophone; Albino Mbie: Guitar (except track 2); Takafumi Suenaga: Piano and Keyboard (except tracks 1,6,7); Wayne Tucker: Trumpet (track 2); Tom Larsen: Guitar (track 2); Schadrack Pierre: Background Vocal.